Well folks, Remix is back for the third year! Remix is the Magnet Theater's diversity sketch lab. For seven weeks participants will meet with Magnet directors and performers to learn about sketch writing! We start with the basics of what makes a good sketch and take you through the process of writing, getting notes, editing, and performing! All participants will be eligible to have their sketch considered for the show at the end of the the lab, and all participants will have a chance to perform in the show! 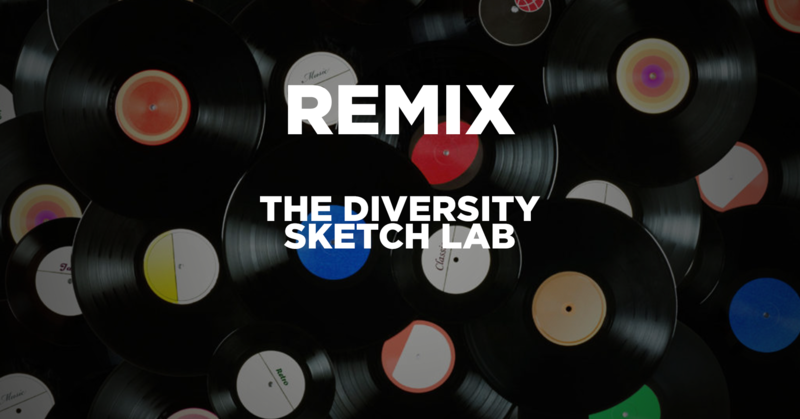 Remix's aim is to lift voices of people from marginalized groups, and celebrate diversity of all types - including (but not limited to): race, age, gender identity, orientation, ability, and more! Perfect! There's no prior experience needed. People who participated last year are welcome to participate again, but we'll be covering a lot of the same ground. It's never too late to start! Remix is for people of all experience levels in sketch and comedy writing. Even if you've never done sketch comedy or if you're on a team at another theater, Remix is for you! All experience levels welcome. OK, But What's the Catch? At the end of the 7 weeks there is a show. For the show there is a small (less than $10) one time fee to pay for recording and our amazing tech. To qualify for show participation, we require that you miss no more than 2 meetings and miss no more than 1 show. We'd love to put up every sketch that's stage ready, but due to the high number of participants not everyone's sketch will make it in to the final show. However, everyone that desires to be in the show (performing) will be able to do so! On top of that any sketches written in the lab (whether they make it into the show or not) are yours to do with what you please and the seven weeks of classes are absolutely free! Whoa, that's pretty sweet. How can I stay up to date on the info? Our main form of communication will be through our google group: Click here. We will also post everything possible on Facebook (click here), as well. When does this party start!? Remix 2018 will be kicking off Saturday, September 15th @ 12pm. We'll be meeting Saturdays from 12 - 3pm in the Magnet Theater Training Center, located at 22 West 32nd St.
Shows will be November 5th, 12th, and 19th at the Magnet Theater (main stage)! We look forward to seeing all of you at the kickoff meeting 9/15!